At the dawning of the Atomic Age mankind was faced with nature gone mad. As mutated insects attacked our cities and Science Fiction motion pictures imagined the dark side of the Nuclear Energy. In 1957 seeing Lt. Colonel Glenn Manning running to save the survivors of an airplane crush. Then immediately being exposed to the detonation of a plutonium bomb to become "The Amazing Colossal Man" wasn't frightening, but cool. Especially when he walked through the Las Vegas Strip destroying some of the hotels..
Just as the following year watching science gone wrong as Al "David" Hedison's transmutation of matter experiment goes wrong. Turning the husband and father into the original "The Fly". A great mystery movie with a horror twist, but not really frightening either. 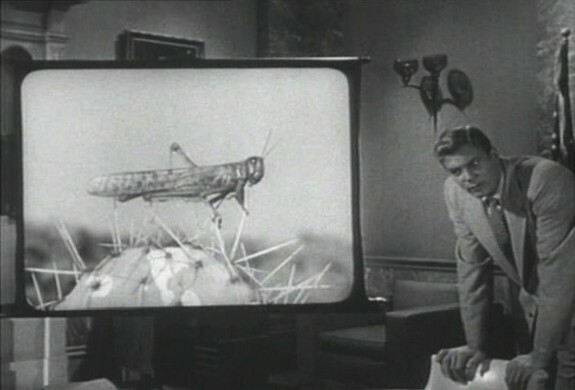 What was truly frightening to young Lloyd and many others were two motion pictures that started a seven picture craze of common insects becoming giants. How many times had a person stepped on an ant, but imagine the reverse? How would the average American react to the idea of ant's that could step on them? 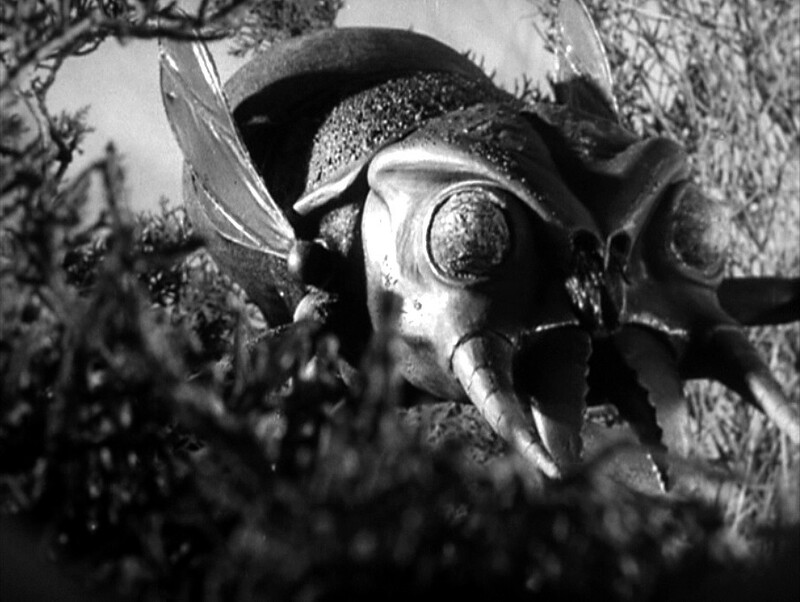 The above question was answered in the first of the giant insect motion pictures and definitely one of the finest Science Fiction films ever made released June 19, 1954. The original story was by George Worthing Yates, Yates would be the story and screenplay writer for several classic 1950's Science Fiction pictures including George Pal's "The Conquest of Space" and two Ray Harryhausen films "It Came from Beneath the Sea" and "Earth vs the Flying Saucers". Additionally he wrote the screenplay for "The Amazing Colossal Man", mentioned above, and it's 1958 sequel "The War of the Colossal Beast". Along with the English language version of Toho Studio's 1962 "King Kong vs Godzilla" originally written by Stop Motion Animator Willis O'Brien. 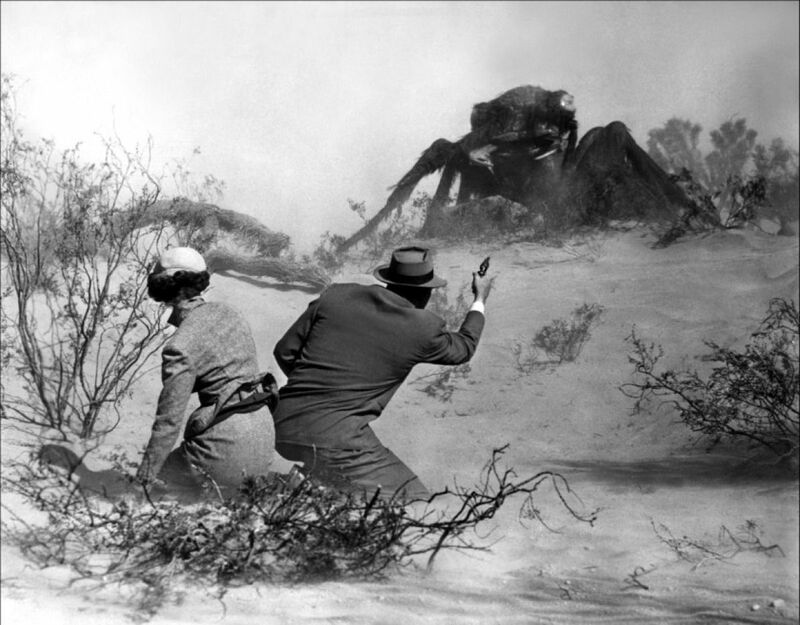 What makes the George Worthing Yates's story so frightening and successful was the real probability of how the giant ants came into existence and the overall intelligence of the screenplay by Ted Sherdeman and Russell Hughes. Normally a watcher of 1950's Science Fiction motion pictures had to suspend reality to accept the film. Otherwise you could not watch, as with "The Fly", another husband and father being turned into "The Werewolf". By two scientists attempting to figure out how to save the human race after the population of the world succeeds the production of food to feed it, or finding a Foreign Country were a scientist is attempting to turn young people into geniuses by exposure to Gamma radiation in "The Gamma People". However, Yates' story starts out logically enough. The audience sees a plane being used as a spotter in conjunction with a two man New Mexico police car searching the desert on a report of a little girl walking through it. Finding the girl, who is in shock, leads to a camping trailer that appears to have been attacked and the girl's parents are missing. Everything points to a robbery gone wrong except one side of the trailer appears to have not been caved in by force, but pulled out. Also found are some ant's in a pile of sugar and a strange print in the sand. The girl is taken away by an ambulance, but not before the audience hears a high pitched sound and the girl lying on a gurney sits up until the sound ends. The sound is passed off as the wind. The two police officers go to another location a store and find the owner dead, his shotgun bent out of shape, ants in sugar and the walls of the store pulled out not pushed in. One of the officers remains and the audience hears the sound again. This causes the police officer to walk outside, We see him pull his gun and start to fire at something and then there is his scream. The discovery that the girl's father was with the FBI brings in the local FBI agent. The coroner has found that the dead store owner had enough formic acid in his body to kill 20 men. With the approval of the Chief of Police a plaster copy of the strange print is sent to the FBI Crime Lab in Washington, D.C. As a result a father and daughter team of scientists from the Department of Agriculture arrives. "THEM!" was directed by Gordon Douglas. His future projects included directing James Garner in the world war 2 movie "Up Periscope", Elvis Presley in "Follow That Dream", Frank Sinatra and His Rat Pack in 1964's "Robin and the 7 Hoods" and the first remake of John Ford's classic "Stagecoach" starring Ann-Margaret and introducing Alex Cord. "THEM!" revolves around four well written characters acted by four perfect actors for the roles. Top billing went to actor James Whitmore as New Mexico police officer Sgt. Ben Peterson. Among Whitmore's previous work was the story of the siege of Bastogne in 1949's "Battleground", John Huston's 1950 picture about a bank robbery that falls apart "The Asphalt Jungle". Followed in the same year opposite the future Mrs. Ronald Reagan, Nancy Davis, in "The Next Voice You Hear". George Summer Albee's story of a typical American family that suddenly hears the voice of God coming over their radio and speaking to them. Second billed was character actor Edmund Gwenn as Dr. Harold Medford. Gwenn is still known today for portraying Kris Kringle attempting to prove to 9 year old Natalie Wood that he is the real Santa Claus in 1947's "Miracle on 34th Street". 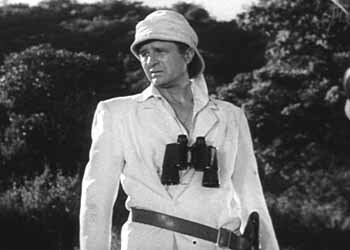 The actor had been in Alfred Hitchcock's 1940 "Foreign Correspondent" and would be in Hitch's 1955 "The Trouble With Harry". He was also in the 1952 film version of Victor Hugo's "Les Miserables" starring Michael Rennie and Robert Newton. Third billing went to Opera Singer turned actress Joan Weldon playing Gwenn's character's daughter Dr. Pat Medford. She would appear in several Westerns including 1954's "The Command" with Whitmore. Also in 1954 as a direct opposite to the Science Fiction of "THEM!". Joan Weldon appeared as herself and actually sang opera in the MGM Musical biography of Sigmund Romberg "Deep in My Heart". The final lead went to actor James Arness as FBI Agent Robert Graham. Arness was known to Science Fiction fans for playing the title role in the 1951 Howard Hawks produced "The Thing from Another World". Although that was the actor's second Science Fiction film. His first was the forgotten 1951 "Two Lost Worlds" using the name James Aurness. When the four leads first meet at an Army Air Force base. The father/daughter scientists request to see the little girl after he stops at a drug store. When formic acid is passed under the in shock little girl's nose and she starts to scream one word "THEM!" It has become one of the most classic scenes in Science Fiction movies and still makes the audience jump a little. The two scientists next ask to be taken to all the scenes of the previous attacks, but the two will not give a direct answer to any inquiries made by either Peterson or Graham. Finally Pat's father reveals that he is not "being coy" with either law enforcement officer, but that the mounting evidence appears to be supporting a fantastic theory he has been developing. At this point Pat wonders off as a wind comes up fiercely blowing the desert sands. Suddenly we hear that sound once more and above Pat the first view of a giant ant is seen. After the one giant ant is killed and the four leads return to police headquarters. Dr. Harold Medford asks where was the very first Atomic Bomb test located? FBI Agent Graham shows him on a map indicating White Sands. 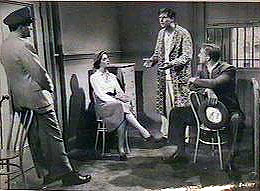 Dr. Medford informs the two police officers and the audience that that was nine years previous to the movie's story back in 1945. Which makes it genetically possible, because of the way ants reproduce, to create the giant mutations. Here we have well defined scientific theory to support the giant ants that appears to make sense to the viewer. As in Howard Hawks' "The Thing from Another World". "THEM!" went against the 1950's stereo typed image of a women with Joan Weldon's Dr. Pat Medford. In Eisenhower America a women's place was in the home raising the children and making sure everything was just right for her man. In both of these motion pictures. We have a women who not only is highly educated, but can keep her own with the male characters. In Dr. Pat Medford that change in image is exceeded in the sequences related to entering the ant's nest as she issues the orders to both Sgt. Peterson and Agent Graham that they must follow. Originally the picture was to be filmed in Warmer Color, but the purple blue color of the ant's looked terrible and the decision to shoot in black and white was made. Color footage can be found in the extras on the original DVD release of the movie. 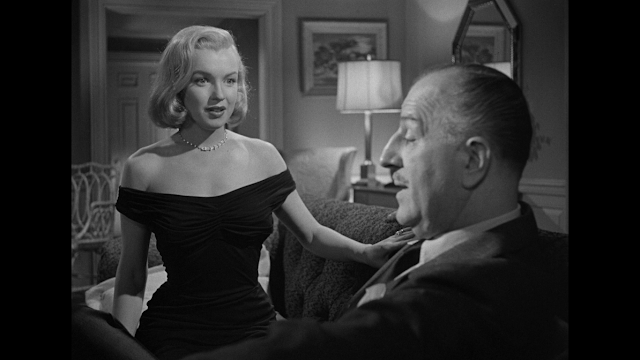 The motion picture was shot in 3-D, but Jack L. Warner decided that the format was loosing audiences in 1954 and it was released in 2-D. Look at the film with the knowledge of the 3-D shoot and it is very easy to realize how almost every shot was set up by director Gordon Douglas with a definite foreground, middle ground and background for maximum 3-D effect. In the picture, just above, the ant hill is in the far background and actors Weldon, Aurness and Gween are arranged so that in 3-D the three come off the screen with depth of field. Looking at the office scene grouping still, farther above, and the 3-D set up by Douglas is also visible. The desk that Joan Weldon and Edmund Gwenn are sitting at is at an angle permitting the right corner to project itself over the audience. The placement of the two actors are offset slightly to each other to give them a depth of field. While James Aurness is further back to the left and James Whitmore is even farther back then the other three actors. After determining that two queen ants have left the nest. A nationwide search begins bringing Pat Medford and Robert Graham along with Army Major Kibbee, actor Sean McClory, to a hospital. A pilot reported seeing two flying saucers shaped like ants that forced his landing on a city street. Jack L. Warner invited his friend and Science Fiction fan Walt Disney to a private screening of "THEM!". According to the story Walt asked that the scene in the hospital be repeated for him several times and then told Warner that he had found his "Davy Crockett" in actor Fess Parker. After the hospital scene Pat's father is told that one of the queen ants found an open cargo hold on a merchant ship to make her nest and it hatched. The ship was sunk at sea by a Navy destroyer. Behind and next to the Warner Brother Studio's back lot is the Los Angeles river. Although it is seen by residents most of the year as a pretty dry concrete structure. It was here that the thrilling climax of the motion picture takes place in a search for a women's two boys. 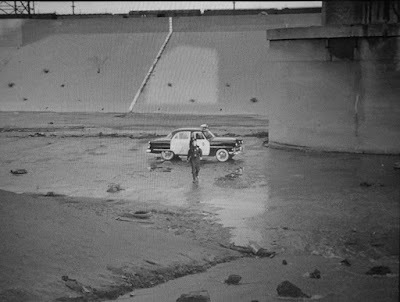 The story moves into the tunnels, which I played in at the time the film was made, as the army searches through the maze that exists in the Los Angeles city sewer system. The boys are located by Sgt. Peterson who saves them, but before help can reach him Peterson is killed by one of the giant ants. When Man entered the Atomic Age, he opened the door to a new world. What we may eventually find in that new world, nobody can predict. The motion picture was produced by William Alland. Who for Science Fiction/Horror fans of the 1950's had already made "It Came from Outer Space", "The Creature from the Black Lagoon", "This Island Earth" and "Revenge of the Creature". Alland would go on to produce "The Creature Walks Among Us", "The Mole People", "The Deadly Mantis", "The Land Unknown", "The Colossus of New York" and "The Space Children" before the 1950's ended. The director of "Tarantula" was already associated with three of William Alland's productions. Jack Arnold had directed "It Came from Outer Space", "The Creature from the Black Lagoon" and "Revenge of the Creature" and would go on to direct "The Incredible Shrinking Man", "The Space Children" and "Monster on the Campus". Additionally Jack Arnold went to England and directed the multi-character Peter Sellers classic "The Mouse that Roared" co-starring Jean Seberg/ The picture was about the tiny Grand Duchy of Fenwick that declares war on the United States. The country is broke and they plan to loose and get needed financial aide. Unfortunately by a fluke the Duchy wins the war. .As with Warner Brothers "THEM!" Universal Studio's "Tarantula!" had strong leads. Playing Doctoral Degree Student Stephanie Clayton was Marla Corday. This was her first Science Fiction film, but Corday would go on to co-star in two more. The classic (?) "The Giant Claw" and the Willis O'Brien feature "The Black Scorpion" that I will discuss later. Playing Professor Gerald Deemer was veteran character actor Leo G. Carroll. Carroll had appeared in several true classic motion pictures such as William Wyler's 1939 version of "Wuthering Heights". The same years "Tower of London" starring Basil Rathbone. Alfred Hitchcock's 1940 "Rebecca" and Hitch's 1945 "Spellbound". Television audiences knew Leo G. Carroll from the 1953 to 1955 comedy series "Topper". Where he plays a man haunted by a ghostly married couple he knew when they were alive and future television audiences would know the actor as Alexander Waverly. Waverly was the boss of actors Robert Vaughn, David McCallum, Stephanie Powers and Noel Harrison in both "The Man from Uncle" and "The Girl from Uncle". 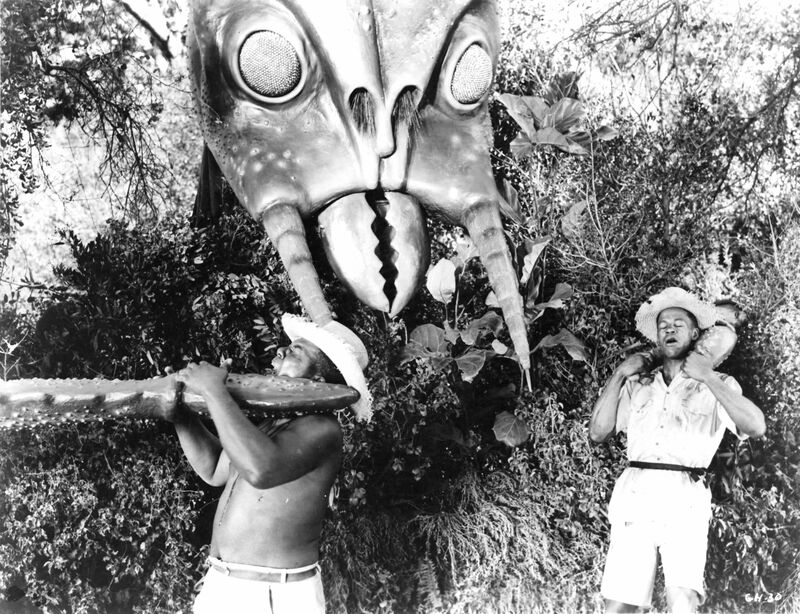 The original story concept was Jack Arnold's and what made it work was his plausible approach to how the giant insect was created. However, before "Tarantula" was released on November 22, 1955 in Los Angeles. Jack Arnold had directed an episode of the extremely popular television anthology series "Science Fiction Theatre", like many viewers I waited for each weekly program, shown on April 23, 1955 entitled "No Food for Thought". The screenplay for both productions were written by Robert M. Fresco and this was the basis for the Universal International motion picture. From Jay Phelps' review on the website IMDb about "No Food for Thought". There can be no doubt of the relationship between the television episode and the feature length motion picture. The above still from "Science Fiction Theatre" shows from left to right John Howard, 1940's "The Mad Doctor" starring Basil Rathbone and 1942's "The Undying Monster" about a werewolf, as Dr. Paul Novak, Otto Kruger, 1936's "Dracula's Daughter" and 1945's "The Jungle Captive", as Dr. Emmanuel M. Hall, Clarence Lung, multiple TV appearances on shows as varied as "Terry and the Pirates", "The Outer Limits", "Honey West" and "My Favorite Martian", as Dr. Lee Suyin and Vera Miles, John Ford's 1956 :The Searchers", Alfred Hitchcock's 1960 "Psycho" and John Ford's 1962 "The Man Who Shot Liberty Valance". as Dr. Jan Corey. As of this writing this episode of "Science Fiction Theatre" can be found on "YouTube". 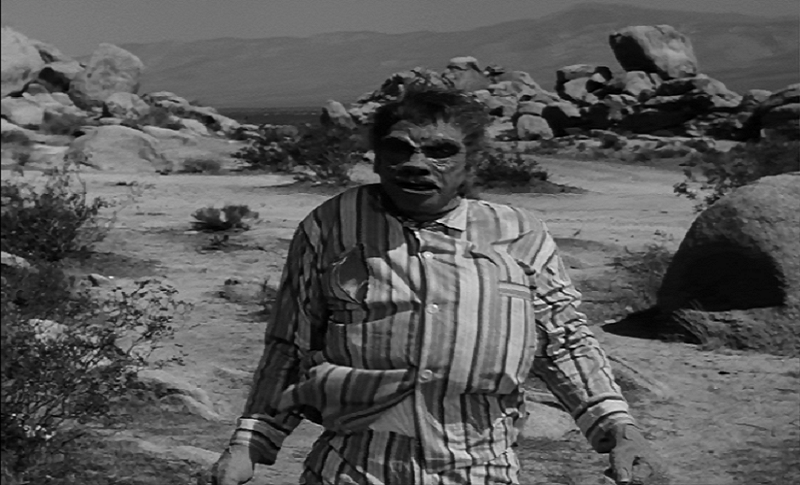 "Tarantula" opens with a very deformed man walking in the desert. 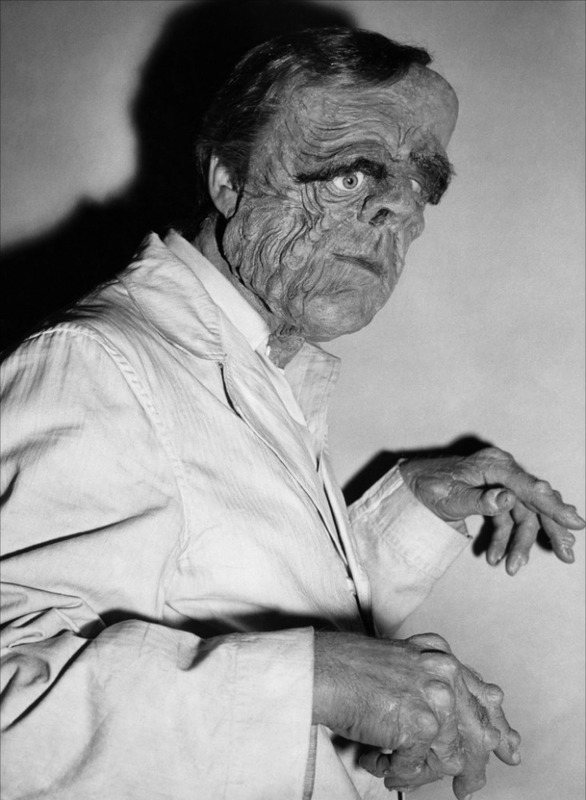 The make-up was by Bud Westmore and was very similar to his Mr. Hyde make-up from 1953's "Abbott and Costello Meet Dr. Jekyll and Mr. Hyde". Below is the make-up from "Tarantula". Below Boris Karloff in "Abbott and Costello Meet Dr. Jekyll and Mr. Hyde". The man's body is found and taken into a small Arizona desert community quaintly named "Desert Rock" were the local doctor Matt Hastings looks at it. All the signs seem to point to the disease "Acromegaly". This results from a person having excessive Growth Hormones after the Growth Plates have closed. The major symptoms are enlargement of a person's hands and legs/ This is a link to a Wikipedia article on "Acrolmegaly". The problem here to Dr. Hastings is the disease should have taken years to develop and the deceased man turns out to be Dr. Eric Jacobs. Whom Hastings personally knew as a very healthy man. At this point Professor Deemer enters and confirms the local doctor's diagnoses. Dr. Hastings wants to perform an autopsy, but Sheriff Jack Andrews refuses as there was no apparent foul play. What is interesting is Deemer signs the Death Certificate indicating heart failure. The Sheriff is played by character actor Nester Paiva. I went to high school with his daughter Cae (Caetana). Paiva is immediately recognized to fans of William Alland's and Jack Arnold's "The Creature from the Black Lagoon" and it's first sequel "Revenge of the Creature" as Lucas the skipper and owner of the "Rita". The fishing boat that takes the scientists in both pictures into the Black Lagoon. He also appeared, without screen credit, in George Pal's 1961 "Atlantis the Lost Continent". Dr. Hastings has been trying to figure out a way to get out to Professor Deemer's laboratory and as luck would have it. Enter Stephanie Clayton who needs a ride there. Can you say love interest? She was invited by another member of Deemer's team Dr. Paul Lund. What the two will never find out, as it takes place prior to the above sequence, is that Lund also has an advance case of "Acromegaly" as the viewer soon learns. The audience had previously seen Professor Deemer enter his lab were there are animals of enormous size including a rabbit, guinea pig and a tarantula. Deemer has a serum in a syringe and injects one of his test animals with it. Just then Dr. Lund enters and there is a fight between the two men which causes a fire to break out in the lab. The Professor is knocked out and Lund injects him with the serum. Lund then becomes overcome by the fire and the fumes from the laboratory and dies. As the fire starts to spread Professor Deemer regains consciousness and puts it out. He will bury Lund's body, but unknown to him but to the audience is that the tarantula has escaped and is now out in the desert. When Dr. Hastings and Stephanie Clayton arrive. The two are met by an apologetic and outgoing Professor Gerald Demmer. He explains what happened without mentioning Dr. Lund. Whom he says left to pursue another project. Deemer explains that they were working on a growth serum, made from a radioactive isotope, in the hope of eventually creating a large source of food for an overpopulated planet. The same motivation for both Sam Katzman's produced "The Werewolf" I mentioned before and Bert I. Gordon's "The Beginning of the End" I will be discussing later. From this point forward the movie has two story lines. The first has Stephanie and Matt discovering that Professor Deemer is rapidly developing "Acromegaly" from the nutrient being injected into him by Dr. Lund. We see the kindly Professor's face and hands changing as the other two attempt to make his last days as comfortable as possible. Deemer will be killed when the now gigantic Tarantula destroys his house. Which brings us to the second story line following the growth of the insect. The deaths and destruction it causes and finally seeing the insect killed by napalm. The first attempt to stop the arachnid is with dynamite. Which in standard Science Fiction form does not work. As the Tarantula approaches "Desert Rock" the Air Force is called in to drop napalm. A piece of trivia pretty well known today is that in about a two minute or less scene in his fifth film role is Clint Eastwood as the squadron leader. 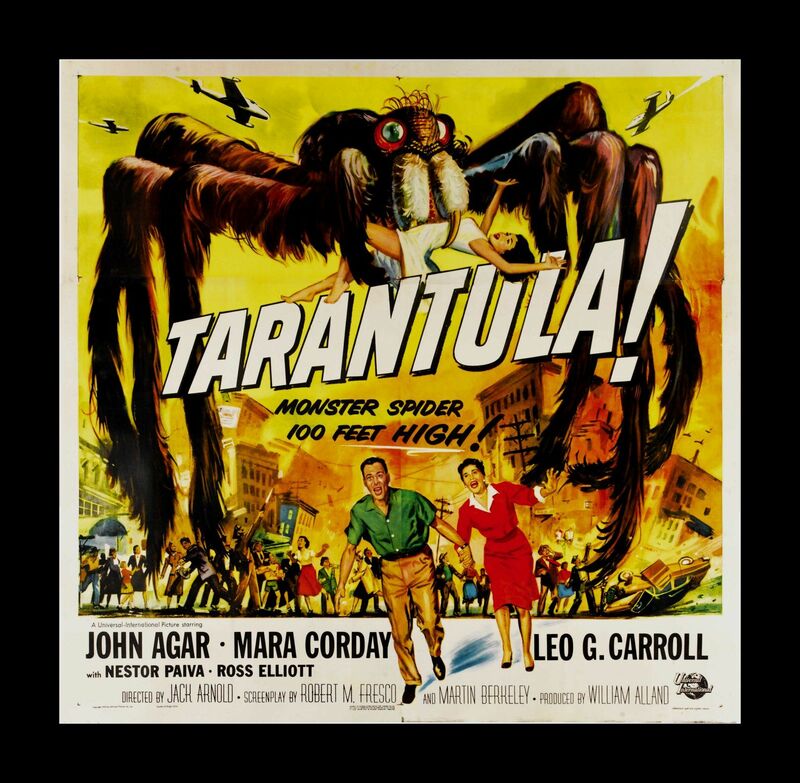 "Tarantula" became a major hit for Universal Studios who had switched to mainly Westerns and Science Fiction pictures during the 1950's as their main source of income. 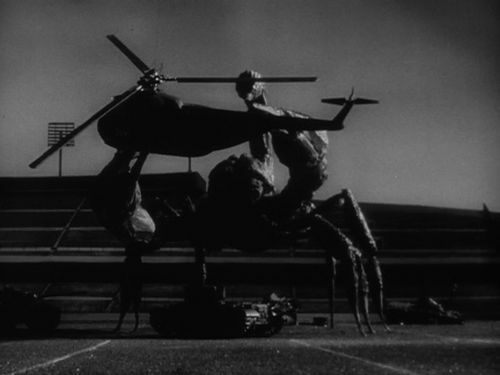 During 1956 American movie goers saw no giant insects running amok attacking our cities. There was a cameo appearance by a large mutated spider from a 2188 future Earth, after an Atomic War, in "World Without End". The spider would reappear in 1958 along with the same uniforms used by the space explorers in 1956's "Forbidden Planet" in "The Queen of Outer Space". While 1956 missed the giant bugs attacking American cities. 1957 made up for it with FOUR movies of debatable quality. Along with seeing another cameo appearance from a prehistoric insect in the English dubbed and re-edited version of the 1956 Japanese motion picture "Radon: Giant Monster of the Sky" as Rodan: the Flying Monster". The less said about this Science Fiction film the better. 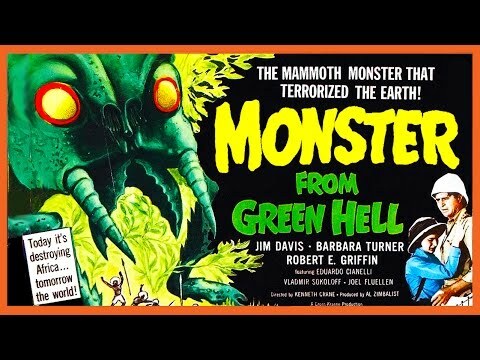 However, it is part of the group of giant bug pictures released during Science Fiction's Film Hey Day of the 1950's, but the words LOW BUDGET really overly describes "The Monster from Green Hell". "Monster from Green Hell" shows a first release date in Portsmouth, New Hampshire of May 17, 1957. It was on the same double bill as the terrible American re-edit and dubbing of Ishiro Honda's 1955 "Mountain Snowman" under the title "Half Human" with John Carradine and Morris Ankrum. However, "The Monster from Green Hell" was also released in other parts of the country on October 1, 1957 on a different double bill with John Agar in "The Brain from Planet Arous". While the Agar film would also be released in still other areas of the United States on January 8, 1958 with "Teenage Monster" aka: "Meteor Monster". The reason for this practice was that that a lot of the 1950's Science Fiction and Horror movies I saw growing up were made by Independent film makers. They needed to find a distributor that would handle their feature and sometimes it meant more than one. American International Pictures started out as a group of Independents who formed the studio. A classic example of this practice is 1956's "Godzilla, King of the Monsters". Where the United States and Canada were divided up between the five producers. The finished re-edit starring Raymond Burr was released by four different distributing companies and you can find copies of the picture under those four names. This was a means for each of the producers to get back their investments and make a profit. A common practice for films not made by major studios. As to the plot for "Monster From Green Hell". In preparation for sending the first manned space craft into outer space, a favorite topic of 1950's Science Fiction, two scientists send even insects up as tests. Unfortunately the rocket with the Wasps malfunctions and crashes into the West Coast of Africa in an area called, of course, "Green Hell". Portraying Dr. Quent Brady is "B" Western actor Jim Davis. One of Davis' early films was the first production about the Manhattan Atomic Bomb Project and gets its title confused with a Science Fiction film I will be discussing later. 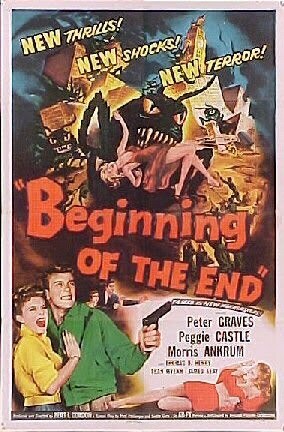 The movie with Davis was titled "The Beginning, or the End" and the Science Fiction film is "The Beginning of the End". Davis was known to 1950's television audiences for the Western Series "Stories of the Century" playing as a railroad detective and another about the fire department "Rescue 8". He appeared in many other Westerns on television such as "Tales of Wells Fargo", "Laramie", "Have Gun Will Travel" and "Branded". Playing Dr. Lorna Lorentz whose father Brady was on his way to meet was Barbara Turner. This was Turner's third screen appearance and she would become a screenplay writer for both television and motion pictures.starting in 1966. At the time of this motion picture Barbara Turner was married to actor Vic Morrow. The couple divorced in 1964. A lot of the African footage seen in the picture came from 1939's "Stanley and Livingston" and the rest of the picture was shot at the Bronson Caves in Los Angeles' Griffith Park. The Bronson Caves was a favorite for motion pictures and television shows. To give my reader an idea of the popularity of this location. Here is a list of only 1950's Science Fiction movies filmed there besides "The Monster from Green Hell": "Unknown World" 1951, "Robert Monster" 1953, "Killers from Space" 1954, "The Day the World Ended" 1955, "Invasion of the Body Snatchers" 1956, "It Conquered the World" 1956, "Night of the Blood Beast" 1957, "The Brain from Planet Arous" 1957, "The Cyclops" 1957, "The Earth vs the Spider" 1958, "The Return of Dracula" 1958, "Invisible Invaders" 1959 and"Teenagers from Outer Space" 1959. It is discovered that Lorna's father was killed by a giant wasp created from Brady's malfunctioning space craft. The giants are not that terrifying. As this still indicates the actors being killed actually had to guide the creatures claws in it's attack. Here;s a better look at one of the wasps. Instead of being created by the Atomic Bomb as the ants in "THEM!" were. The wasps of "The Monster from Green Hell" are created by cosmic radiation. Otherwise the plot gets down to finding the nest and killing the queen wasp, before the giants overrun Africa and then the world. Sounds like somebody borrowed a theme and changed locations. The nest is located on the side of a volcano and first an attempt to use grenade style bombs fails, but the volcano erupts killing the wasps. The Mantis of the title was not a result of Atomic Energy,, some radioactive isotope, or cosmic radiation. It was related more to Ray Harryhausen's "The Beast from 20,000 Fathoms" as it was suppose to be a prehistoric insect frozen millions of year ago. Where the Rhedosaurus was released from it's ice prison by melting snow from an Atomic Bomb test. "The Deadly Mantis" was released from melting ice caused by a South Seas Volcanic eruption similar to what destroyed the volcanic island of Krakatoa. The opening of the film was pure Cold War and used newsreel footage provided by the Air Force of what was known at the time as the "Dew Line (Distant Early Warning Line)". The Line consisted of 24 hour manned stations monitoring the skies for a possible attack by the Soviet Union including Intercontinental Ballistic Missiles carrying nuclear weapons. How the "DEW" Line worked was explained with voice over narration. The entire reason for this opening was to have a scene spotting a "Unidentified Flying Object (UFO)" that would turn out to be the Mantis and not the Russians. 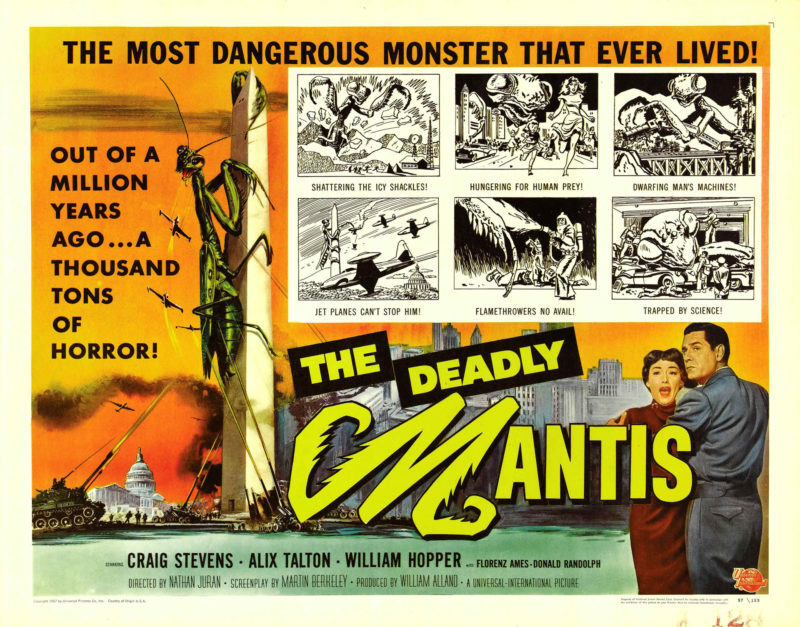 Talking Cold War "The Deadly Mantis" was part of a double feature bill that was released on May 26, 1957. The second feature was "The Girl in the Kremlin". On March 5, 1953 Soviet Leader Joseph "Papa Joe" Stalin died, or did he? Lex Barker played an Office of Strategic Services (OSS) agent hired by Zsa Zsa Garbor to find her sister and uncovers that Stalin had plastic surgery and is of course alive. As I remember this was actually a far better film than "The Deadly Mantis" even for a ten year old boy. For 1950's television viewers "The Deadly Mantis" had two interesting lead actors. Playing Air Force Colonel Joe Parkman was Craig Stevens, In 1953 he played opposite Boris Karloff in "Abbott and Costello Meet Dr. Jekyll and Mr. Hyde", but basically he was guesting on television programs. Shortly after making "The Deadly Mantis" Stevens would be cast by Blake Edwards for the lead in his television series "Peter Gunn" and play the hard nosed detective for three seasons. Playing paleontologist Dr. Nedrick :"Nick" Jackson was William Hopper. Hopper would star in Ray Harryhausen's 1958 film "20 Million Miles to Earth", but the son of Hollywood Gossip Columnist Hedda Hopper would gain his fame playing detective Paul Drake on televisions "Perry Mason" starring Raymond Burr. As Jackson's assistant and the love interest for Colonel Parkman was Alix Talon as Marge Blaine. Below is a picture of the actress as she see's the Mantis. In 1956 Blaine was in the classic rock and roll movie "Rock Around the Clock" featuring Bill Haley and the Comets. The same year the actress had 15th billing in Alfred Hitchcock's remake of his own "The Man Who Knew Too Much". Otherwise her career was mostly television roles. This was also a low budget motion picture and it shows with the Mantis, but at the time of it's release the target audience of preteens in walk-in movie theaters and teens in the back seats of their cars at drive-in's cared less. Parents also supported getting us out of the house even for about three and a half hours with a double feature like "The Deadly Mantis" and "The Girl in the Kremlin". As the first poster for the picture showed and the following one also. The 1950's were the era of creative, misleading, but terrific movie posters to get that target audience into those theaters. The plot has the Mantis heading for the East Coast of the United States returning the viewer to the Cold War mentality of the United States and more stock footage. We now fill out the film's length with newsreel footage of the "Ground Observer Corps". The was a group of 200,000 civilian observers working with the Air Force to watch the skies for those Soviet Aircraft. The Mantis is spotted heading for Washington D.C. I lost count of the times we see this sequence of the mantis in flight over and over again. The mantis climbs the Washington Monument and then is chased out to sea by jets, but somehow with all the radar sets trained on the creature. They loose the giant insect in the fog. Somehow the lost mantis ends up in the Manhattan Tunnel for the movie's climax. Both ends of the tunnel are sealed off and a team enters with chemical bombs. Working their way through the crashed vehicles they encounter the mantis and fire their weapons. Bullets have no effect on it and when the chemical bombs are used. It appears they will not stop it until one is thrown directly in the creature's face. Inspecting the dead mantis it suddenly has an automatic reflex that propels the scared Marge Blaine into the waiting arms of Joe Parkman. End of film. Bert I. Gordon the producer/director who would bring me "The Amazing Colossal Man" later in 1957. Now gave me a story of giant Locusts eating Chicago on June 28, 1957 and on the same program "The Cyclops", A film he would rework the following year into a sequel to "The Amazing Colossal Man" called "The War of the Colossal Beast", Life was grand for a 10 year old Science Fiction fan. Playing Dr. Ed Wainwright a scientist for the Department of Agriculture was Peter Graves. The future Jim Phelps of televisions "Mission Impossible" had already appeared in 1952's Science Fiction/Cold War thriller "Red Planet Mars", 1954's "Killers from Space" and 1956's "It Conquered the World". So appearing in a film about "Grasshoppers Gone Wild" wasn't a surprise to the actor. Playing reporter Audrey Aimes was Peggie Castle. Castle was also in the cold war thriller 1952's "Invasion U.S.A.". The first film that imagined the United States being invaded by and taken over by the Soviet Union. The following link will take you to my blog article on Peggie Castle, Allison Hayes and Gloria Talbot that first called "The Three Sisters of 1950's Science Fiction". Talbot was in the second picture on the double bill with "The Beginning of the End" "The Cyclops". 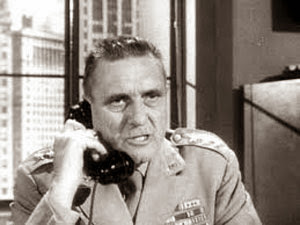 Portraying the other military man Colonel Sturgeon was another actor whose face is known to 1950's Science Fiction fans, but perhaps not his name Thomas Browne Henry. Previous to "The Beginning of the End" he was seen on two episodes of the 1952 model for "Star Trek" televisions "Space Patrol". Along with episodes of "Rocky Jones, Space Ranger" and with Morris Ankrum in "Earth vs the Flying Saucers". After this picture Henry would appear in both "20 Million Miles to Earth" and "The Brain from Planet Arous". The story starts with Reporter Audrey Aimes coming upon a small town totally destroyed and every person missing. This will lead her to a small research facility for the Department of Agriculture and Dr. Wainwright. The facility as in "The Werewolf" and "Tarantula" are experimenting with ways to stop the growing problem of world hunger as the Earth's population outgrows the food supply. Meanwhile Wainwright, after capturing one of the giant locust, has found a way to imitate the vocal sound they make and plans to lure them into Lake Superior to drown. Bert I. Gordon was known for rear screen projection and double exposures. In the below picture he used photographs of Chicago and just put real locusts on them and shot the scene. In some of Gordon's locust on the photographs scenes. The audience gets unintentional laughs as a locust might only be on the photographed building by as little as a fourth of their body and the rest in air. Some actually show the locust crawling up the building totally in the air. None of which upset the low budget producer. The movie surprised even Bert I. Gordon as it became a money maker in major markets. One example happened during the features first week in San Francisco were the film made $16,000 1957 dollars. The only movie making more during that week was the re-re-reissue of Walt Disney's "Bambi" at $18,500. In Los Angeles a similar thing happened as the film grossed in its first week $16,500. I have now come to the fourth science fiction insect film of 1957 and the best. The special effects were stop motion under the supervision of Willis O'Brien 1933's "King Kong" and 1949's "Mighty Joe Young". The actual animation of the models were done by Pete Peterson. Peterson had worked with O'Brien, Marcel Delgado and Ray Harryhausen on "Mighty Joe Young". He would perform the same duties for Willis O'Brien on the British film "Behemoth the Sea Monster" aka: "The Giant Behemoth" from 1959. Even though they are related, they belong to very distinctly different groups.Scorpions are animals in the order Scorpiones, under the class Arachnida, which makes them a distant cousin of spiders. Scorpions have eight legs, while insectshave six. Scorpions have two body segments while insects have three. This Mexican/American co-production had three strong leads. Playing American Geologist Dr. Hank Scott was Richard Denning. Denning is familiar to most 1950's Science Fiction fans for his appearance in the 1954 3-D movie "The Creature from the Black Lagoon", but he first Science Fiction film was 1949's "The Unknown Island". Which was a lost world style motion picture with dinosaurs. He starred also in 1954's "Target Earth" and in 1955 both "The Creature with the Atom Brain" and Roger Corman's "The Day the World Ended". In 1963 he would co-star with Vincent Price in the horror movie "Twice Told Tales"
Playing Richard Denning's Mexican Geologist counterpart Dr. Arturo Ramos was Carlos Rivas. The actor was actually born in El Paso, Texas and his birth name was Oscar von Weber. His father was German and his mother Mexican. The English/Spanish speaking Rivas was discovered in a bar in Mexico City. Changed his name to the more Latin Carlos Rivas and began a career in Mexican and Argentine Westerns. In 1956 Rivas co-starred with Guy Madison in "The Beast of Hollow Mountain" loosely adapted by Willis O'Brien, using the name El Toro Estrella (The Bull Star) from his "Gwangi" story line about cowboys fighting a living dinosaur. Playing Teresa Alvarez was Marla Corday. Besides the Science Fiction films I mentioned previously. Three of Corday's smaller roles included the Clint Eastwood films ""The Gauntlet", "Sudden Impact" and the "Pink Cadillac". Compared to the British poster above. 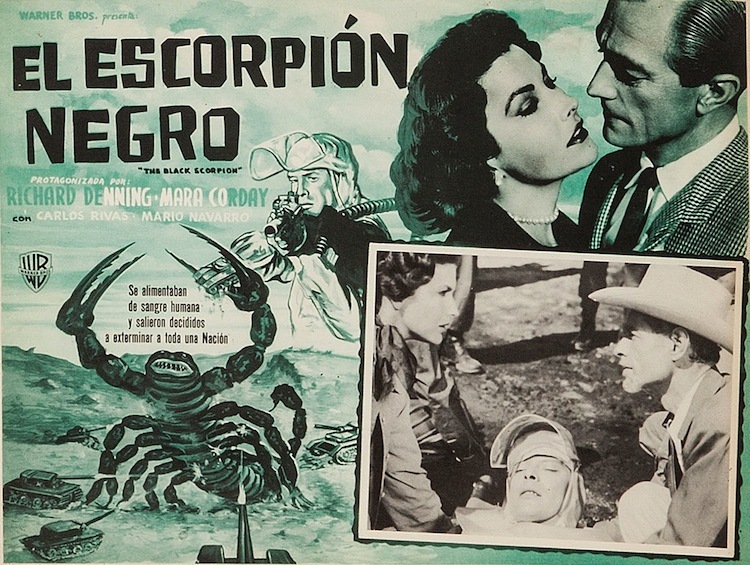 The Mexican poster turned the romance between Denning and Corday from the typical American 1950's morally chaste type, used in films like this one, into what seems very steamy in comparison and is nowhere to be seen. The plot has a series of Earthquakes rocking Mexico and uncovering a cavern containing prehistoric insects. 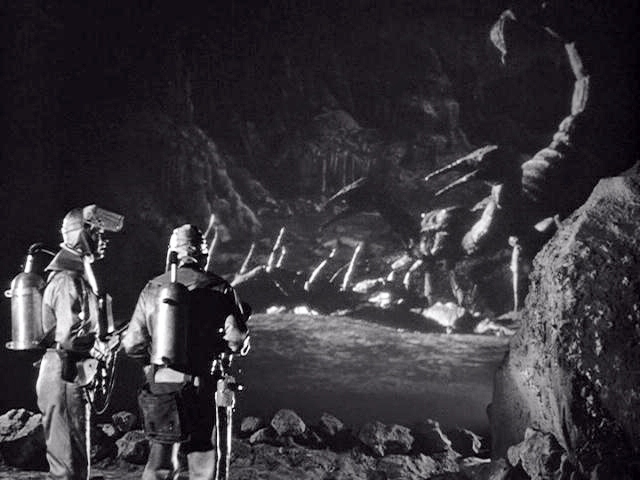 Some reviewers attempted to tie those sequences to Willis O'Brien's 1933 "King Kong" and the missing footage of the "Spider Pit" that Bruce Cabot's "Jack Driscoll" and some of the crew fell into. The two geologists are going to the village of San Lorenzo and find a destroyed house and a dead police officer. After contacting the police department, by the officer's car radio, the two also discover a baby and take him with them. They're bothered by the look of the damage to the house and police vehicle that appears unrelated to the Earthquakes. In San Lorenzo the Priest tells them the villagers are scared of a demon they say have been eating livestock and to them is responsible for several missing people. In the countryside the two men meet the owner of a large ranch Teresa Alvarez. She invites them to make it their base of operations. Soon it is discovered that all the deaths are attributed to giant prehistoric scorpions and there is an attack on a train by a group of them. Besides eating the passengers the scorpions turn on each other. The scorpions are making a strange sound heard during the night and when they swarm. 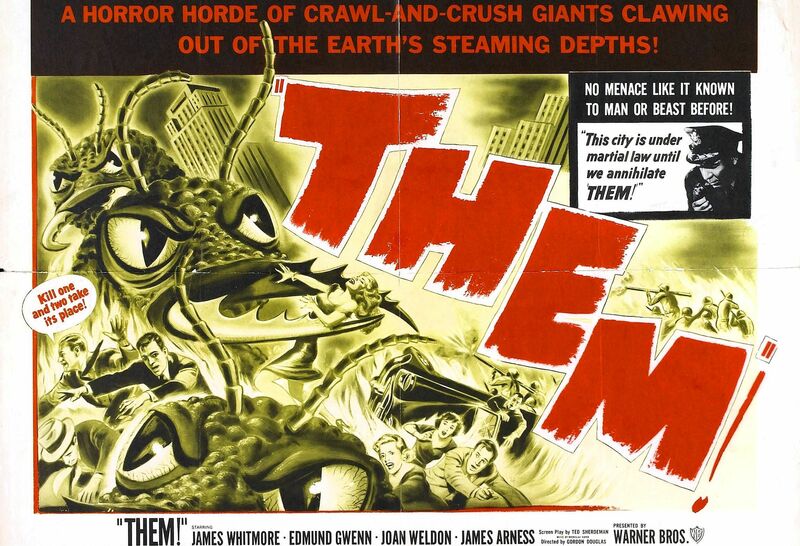 Actually it is the sound used for the ants in 1954's "THEM!" as this is also a Warner Brothers release. There is a very good sequence when Richard Denning and Carlos Rivas are lowered into the cavern and observe the insects in their natural environment. We truly get to see Willis O'Brien's stop motion animation at it's best under the film's budget. That budget for this production got in the way of completing all the stop motion work O'Brien wanted to do. There are a few scenes of the scorpions that are nothing more than the black mattes, you can see through, showing the action that was to be filled in by his models. Another example of the budget problem was the repetition of the one close up of the main scorpion's face throughout the feature. 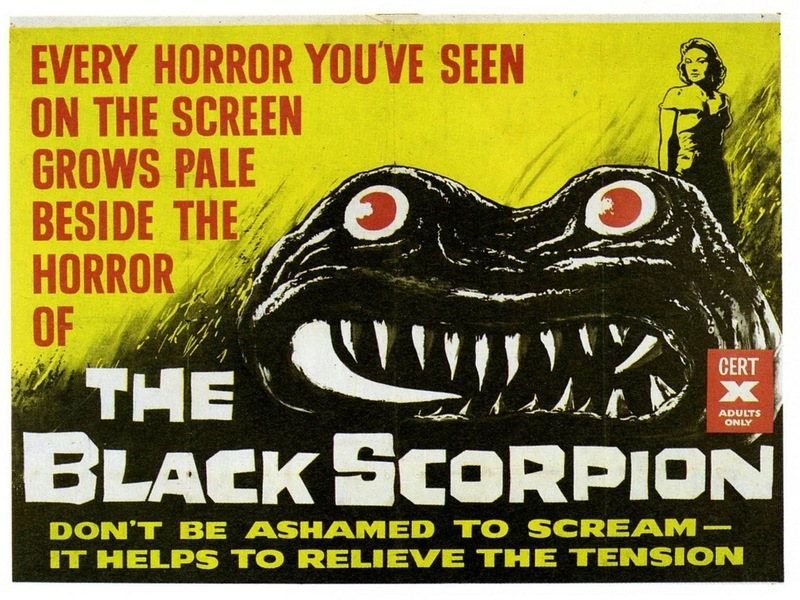 Like with the 1933 "King Kong" the Scorpion's Head was made to what would be actual scale. Initially it is thought that the scorpions are sealed within the cavern associated with an active volcano and everyone celebrates. Of course the largest scorpion escapes through a route that was overlooked and enters Mexico City. The climax comes at the sports stadium. The military's weapons cannot stop the creature, but Richard Denning's plan of using electricity does. Even with it's faults "The Black Scorpion" is a favorite of mine. Being a fan of the work of Willis O'Brien I have to wonder how much better the final cut would have been had he the money required to make the picture. One of the lures that caught me and thousands of young people in the 1950's to enter a walk-in, or drive-in movie theater were the imaginative movie titles. Who didn't want to find out what "The Beast with a Million Eyes" looked like, or how "The Monster That Challenged the World" did it? 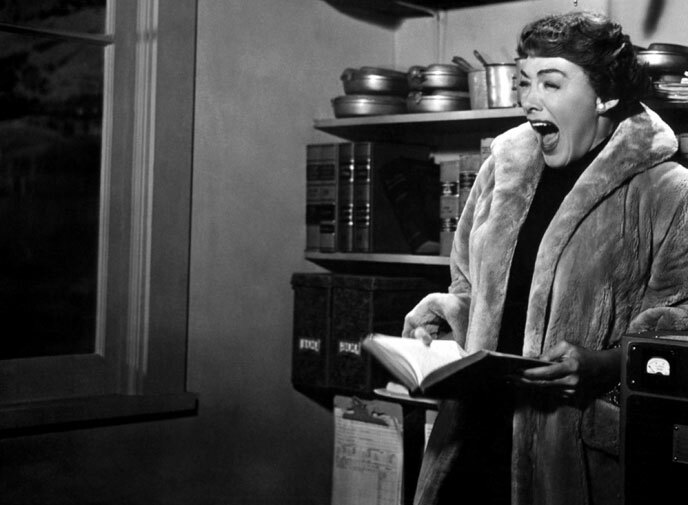 Then you had the "Attack of the Puppet People" and that great 1958 love story "I Married a Monster from Outer Space". The original title seems to have been a planned composite of two classic earlier Science Fiction films. Partly taken from Columbia's 1956 Science Fiction film "Earth vs the Flying Saucers" and Universal's 1955 "Tarantula". As "The Spider":is actually a "Tarantula". Which means the film's title could have been "The Earth vs the Tarantula". Which would really have had the teens and pre-teens subliminally thinking. For those of you thinking I might be reaching. The co-writer for this picture was George Worthing Yates who as I already mentioned wrote "Earth vs the Flying Saucers" along with "THEM!" Where the description "The Earth" as in Yates' other screenplay was the entire planet. In this picture it turned out to be a small rural community in California. The town looks exactly like "Desert Rock" from "Tarantula". 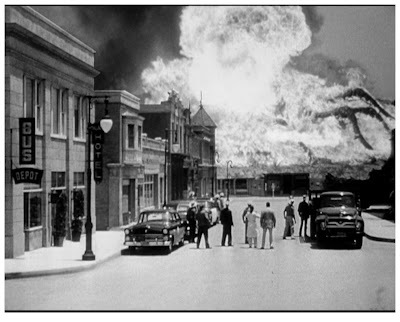 Actually it should as Bert I. Gordon's motion picture was filmed using the same city streets on the Universal Studio's back lot. As did Universal for their own 1957 Science Fiction "The Monolith Monsters" town of San Angelo. Although Kemmer was mainly a television actor. Earlier in 1958 he starred in the Science Fiction film "The Giant from the Unknown". 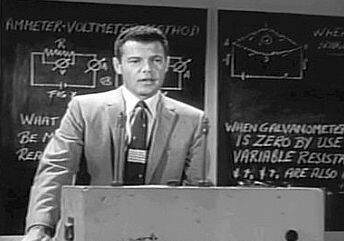 In "Earth vs the Spider" Ed Kemmer played a Science Teacher at the local High School Mr. Kingman. Playing the two High School students the story revolves around are June Kenney as Carol Flynn and Eugene Persson as Mike Simpson. Teenager June Kenney was 25 when she made this movie and would appear in Bert I. Gordon's "Attack of the Puppet People" with John Agar. Besides other "Teen" movies she had been in Roger Corman's, love this complete title, 1957 movie "The Saga of the Viking Women and Their Voyage to the Water's of the Great Sea Serpent". Teenage Eugene Persson was 24 when he made "Earth vs the Spider". As a young boy he was seen, without on screen credit, in the first three of the "Ma and Pa Kettle" series of motion pictures and the original picture "The Egg and I" starring Claudette Cobert and Fred McMurray. As a TV producer Persson made the Television movie "You're A Good Man Charlie Brown" in 1973. Older actors playing Teenagers wasn't new with these low budget features. When he made "The Blob". "Teenager" Steven, not Steve, McQueen was 28. When he made "Teenage Caveman" Robert Vaughn was 26 and Michael Landon was the youngest of this group at 21. When he filmed "I Was A Teenage Werewolf". George Worthing Yates' screenplay opens with Carol's father driving on a dark road with a gift for her birthday. Carol's father's truck hits something and the following morning he is missing. Getting anyone to search for him, because he was a known alcoholic is impossible. 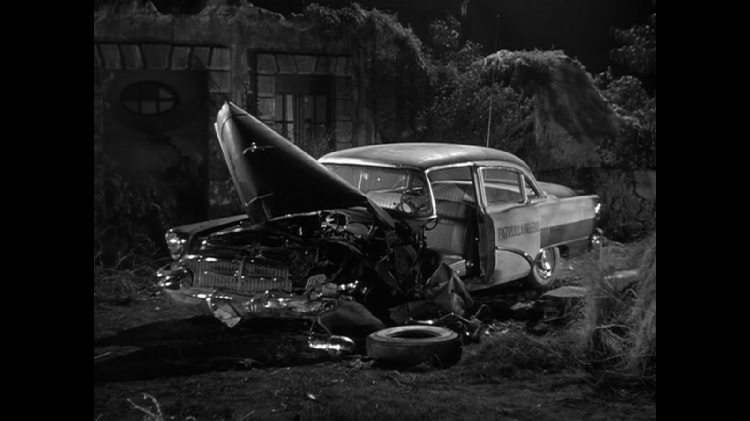 However, Carol convinces her boyfriend Mike to help her and the two discover her father's wrecked truck. The two look around and find a cave entrance. Below is a scene filmed at the Bronson Caves. The cave of course the home of the giant Tarantula. 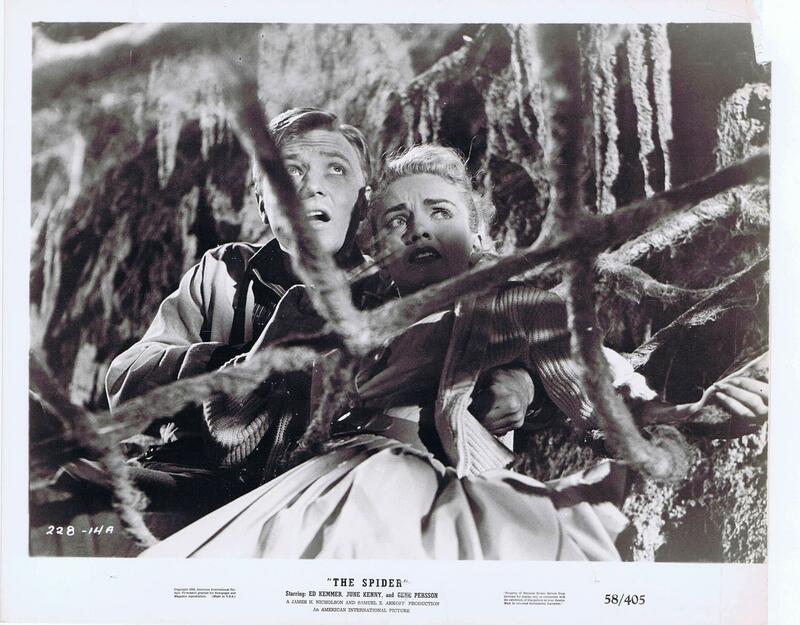 The two teens fall into the web of the spider. Can you say obvious rope? The Tarantula appears and the teens just make it out of the cave. The Sheriff won't believe their story, a normal plot point used in 1957's "The Invasion of the Saucer Men", 1958's "The Blob" and 1959's "The Giant Gila Monster" for example, of disbelieving adults. However, enter their Science Teacher Mr. Kingman and he agree's to go to the cave with his two students. There they find Carol's father's body drained of blood. The spider attacks again and the three are able to convince the Sheriff of its existence. Large amounts of DDT are used to kill the creature and apparently this succeeds. So what do they do with the "Dead" spider, but take it to the High School's Gym of course. Enter a band practicing Rock and Roll songs for the upcoming school dance. Apparently the spider did not like the beat and awakens, kills the janitor who was attempting to call the Sheriff and breaks out through a wall. It then goes on a minor rampage through the town killing a few people along the way, before returning to its cave. Eventually using electrodes attached to the Tarantula's web. Mr. Kingman and Mike electrocute the spider. It falls from the web onto the stalagmites below. This movie is a lot better than it sounds.